Summary: On the morning of December 27, reporters from Live Livelihood section of Jining TV came to visit and interview with China Transport Group and recorded on-site. Executive Deputy General Manager Feng Zhenying, Li Zhenbo, Deputy General Managers Li Zhaopeng and Guan Chenghui warmly welcomed the reporters. 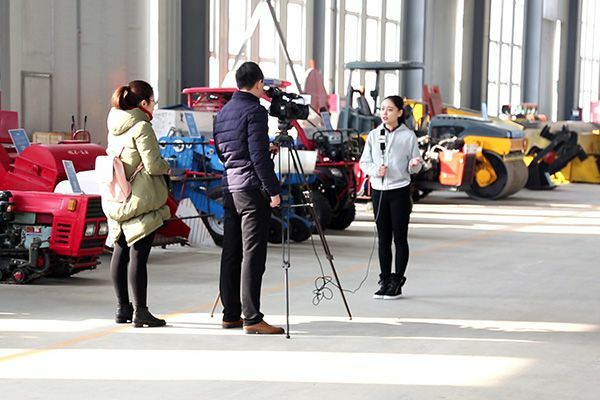 On the morning of December 27, reporters from Live Livelihood section of Jining TV came to visit and interview with China Transport Group and recorded on-site. Executive Deputy General Manager Feng Zhenying, Li Zhenbo, Deputy General Managers Li Zhaopeng and Guan Chenghui warmly welcomed the reporters. In the Group Culture Exhibition Hall, the reporter interviewed Executive Deputy General Manager Feng Zhenying, Li Zhenbo, Deputy General Managers Li Zhaopeng and Guan Chenghui respectively. 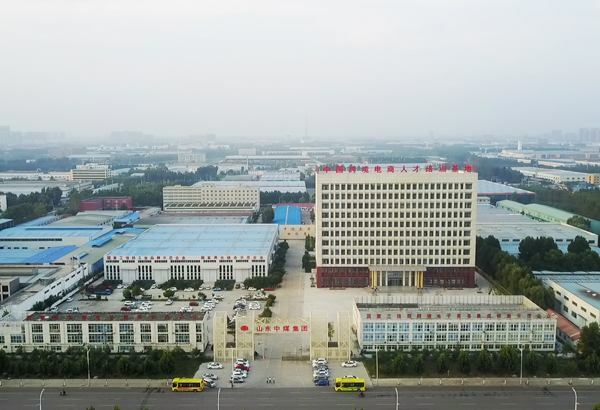 Manger Feng mainly introduced the research and development of intelligent manufacturing, intelligent robots and unmanned aerial vehicles of China Transport Group. In recent years, China Transport Group has responded positively to the call of the state to develop intelligent industries and invested in Shandong Kate Robot which aims at the guidance of the global market and international brands. With its strong scientific and technological strength and professional R & D team, a huge sales team, continue to increase investment in research and development of intelligent manufacturing of high-tech products, through the introduction of foreign robot advanced technology concepts, development of high-end intelligent products for China, has successfully developed industrial intelligent robots, restaurant service robots, smart home robotics, entertainment robots, fire robots, high-tech unmanned aerial vehicles, 3D printing equipment, smart security equipment and other high end smart products, for the development of China's smart manufacturing industry has played a positive role in promoting. Manger Feng said that in the next step, China Transport Group will devote more resources to the resource integration in the "Internet + Manufacturing" and continue to enhance its market share in the high end smart industry of the Group, moving rapidly towards informationization. Manager Li Zhenbo mainly introduced the group e-commerce innovation and transformation of the development and the next step in the direction of development. Manager Li said that since 2008, China Transport Group has made great efforts to develop industrial supply chain e-commerce and has made many positive explorations and efforts in the area of e-commerce and the creation of cross-border e-commerce B2B platforms. The successful transformation from the traditional sales model to modern e-commerce sales model has become the industry model for promoting the successful transformation of traditional enterprises through e-commerce information industry throughout the country, and has been highly praised by the leaders of the country, provinces and municipalities for many times. Manager Li said that in order to give full play to the leading role of leading and lead more enterprises and talents to embark on the path of cross-border e-commerce development, Group will continue to increase investment in scientific research and build an integrated model of school-enterprise development, cooperation in personnel training, science and technology research and development, to achieve a win-win situation between colleges and universities. At the same time, through the integration of China's first e-commerce logistics platform - China's logistics Internet of things, which is established by modern information technology and network management system, we will provide customers with seaborne import and export goods transportation services all over the world based on the world's major shipping companies in the next step, the real achieve cargo through the world! Subsequently, Manager Li Zhaopeng accepted an interview with reporters on the operations of the six major e-commerce platforms of China Transport Group and the next development direction. Manager Li said that China Transport Group has independently developed and operated six e-commerce integrated service platforms of 1kuang.net, China Logistics Internet of Things, China Agricultural Network, China Motor Transport Network, Haitao Network, Travel Network, of which 1kuang.net, as the world's leading cross-border B2B e-commerce platform for industrial and mining machinery industry, it has filled in the blank of e-commerce service platform for industrial and mining machinery industry both at home and abroad, which has spurred the innovation and transformation of the marketing mode of industrial and mining machinery. 1kuang.net project has been rated as National Ministry of Industry Cross-border E-commerce Pilot Project of Innovation and Integration, Ministry of Industry Cross-border E-commerce Key Support Project, China's Innovation and Merging Practice Award, Key E-commerce Platform in Shandong Province, a number of honors to promote national industrial e-commerce supplier made outstanding contributions to the innovation and development! In the next step, we will continue to enhance the interconnection and interoperability of information infrastructure and provide a more complete, open and reasonable orderly e-commerce service model to build a platform for the globalization of trade. Finally, Manager Guan Chenghui introduced the next step of the development plan of China Institute of Industrial Intelligence. Manager Guan said that the establishment of China Coal Industry Intelligence Research Institute marks China Transport Group has entered a brand new stage of development in the field of industrial intelligence. The next step will be based on China Coal's intelligent manufacturing experience and jointly with well-known universities and Research Institutions and other first-class resources to build intelligent research institutes and build a dual platform for technology and industrial incubation that will play an important role in driving the demonstration in tackling the problems of intelligent manufacturing, transforming the achievements of intelligent research, exporting leading modes and incubating innovative enterprises. In order to better understand China Coal Group, the reporter and his entourage also visited China Coal Group Office Building, Group Culture Hall, Intelligent Equipment Workshop, E-Commerce Company, Cross-Border E-Commerce Company, Internet Information Company, Software Technology Company, etc., "Live Livelihood" reporter took on-site shooting. The reporter of the television station said that shocked about achieved great achievements China Coal Group made in the development of e-commerce in the provincethrough visiting and understanding, as a traditional industrial and mining enterprises, made so prominent achievements worthy of learning in e-commerce, platform construction, intelligent robot research and development, intelligent logistics and other fields for traditional enterprises, as a propaganda media, we have the obligation to promote the innovation and development of China Coal Group to the whole society, to set a benchmark and role model promoting publicity for the national industrial innovation and transformation of enterprises!